AIM has selected a case study involving CyberBadge as the winner in the RFID category of their annual competition! Read "DT SYSTEMS, SONITRAX™ AND CYBERBADGE®"
Videx proudly designs and manufactures data collection products. 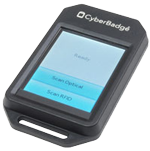 The CyberBadge scanner reads RFID and barcodes. Our iBR9000, PulseStar, and TouchProbe readers record data from iButton® touch memory units. Furthermore, the readers provide an audit trail of events. Due to their small, cordless design, all of our scanners and readers are extremely portable. Therefore, they can be used to track data almost anywhere! In addition to these, we also manufacture hardware for CyberLock access control products. We bring our products to market through a network of resellers. Resellers can build applications for our products that fit your exact needs. Or, if you have your own team of developers, you can create your own! Have a Data Collection Need? Let us connect you with a reseller in your area! Join our team! Apply online today! 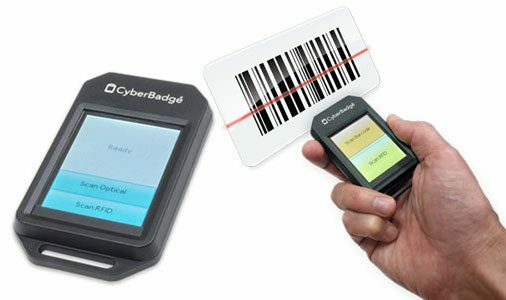 The CyberBadge family of scanners can read RFID tags and many varieties of optical codes. Videx iButton Readers are rugged and portable, making data collection simple for a wide variety of applications!